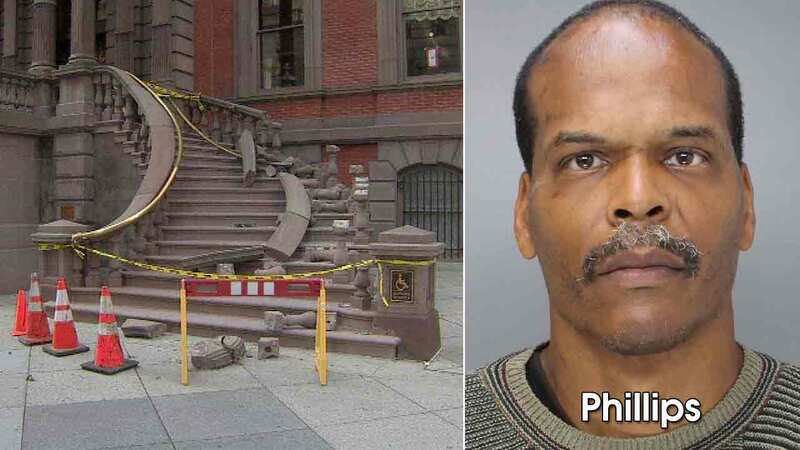 Reginald Phillips has been identified as the suspect in the theft of a brass railing from the entry staircase of the Union League. 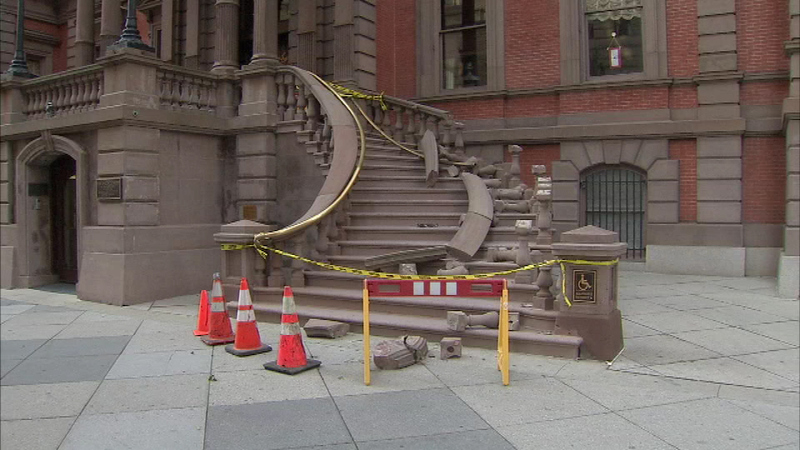 CENTER CITY (WPVI) -- Philadelphia police have arrested a suspect wanted for the theft of a brass railing from the front entry staircase of the Union League building in Center City. Police announced 50-year-old Reginald Phillips was taken into custody just before 11 p.m. Wednesday. 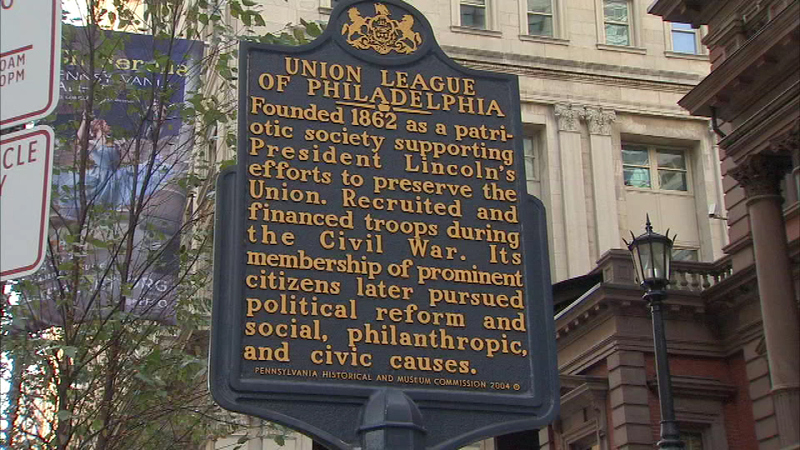 Live from Central: Union League suspect arrested by Sgt Mellody, P/0 Goodwin, 22nd. 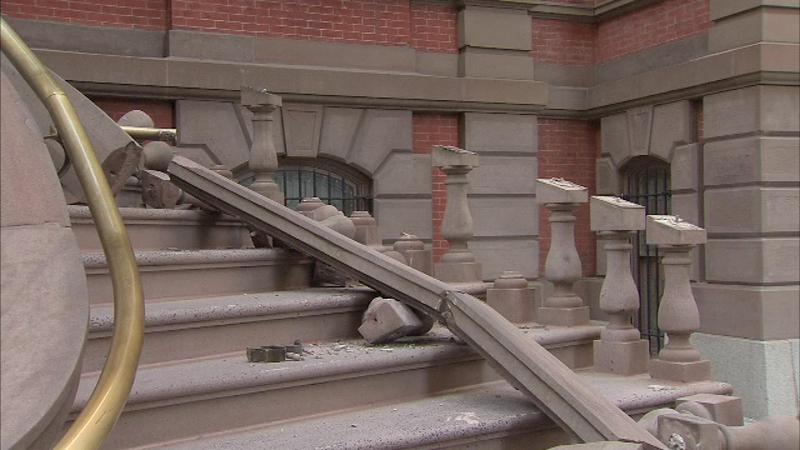 As always Det Domenic/Waring/assist. 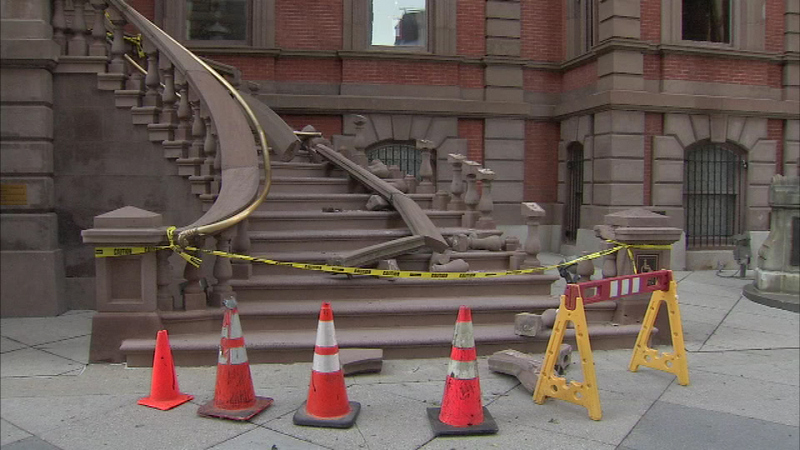 Authorities say Phillips was involved in the removal and theft of a brass railing from the Union League early Monday morning. 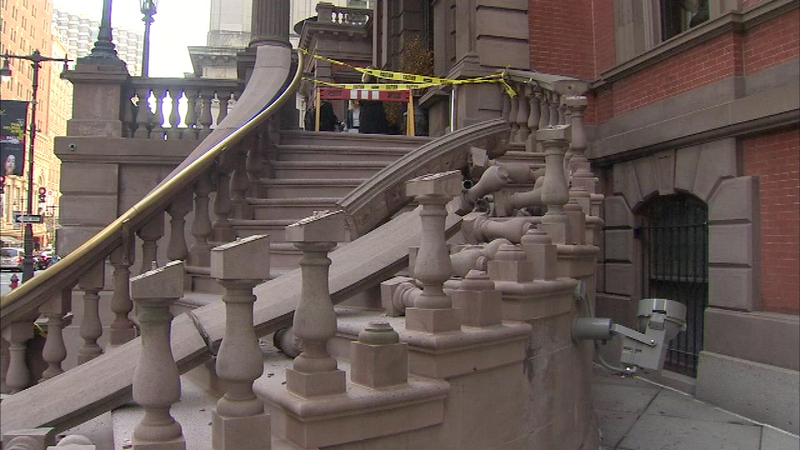 Union League officials tell Action News the suspect pulled the brass railing off the front stairs of the building, located in the 100 block of South Broad Street, causing the rest of the stairway to come crumbling down. 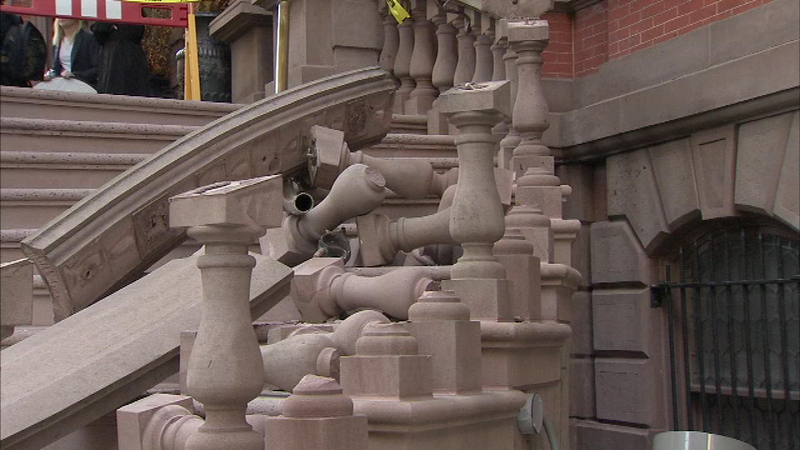 Police developed Phillips as a suspect after obtaining surveillance video. 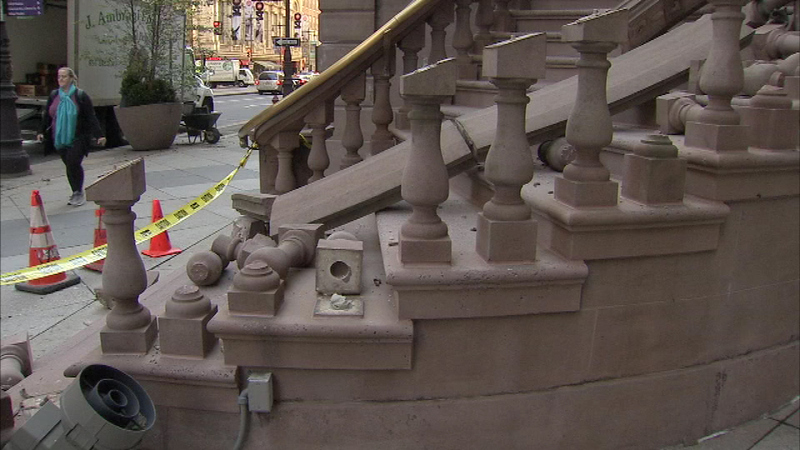 The video, compiled from several surveillance cameras, shows the suspect taking a piece of the brass railing, then carrying down toward Moravian Street to another location. 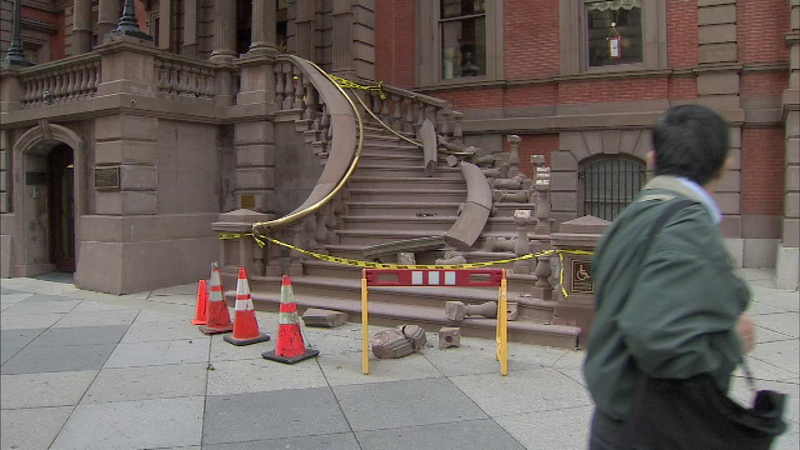 A stone staircase leading to the Union League building in Center City Philadelphia was found heavily damaged on Monday morning. 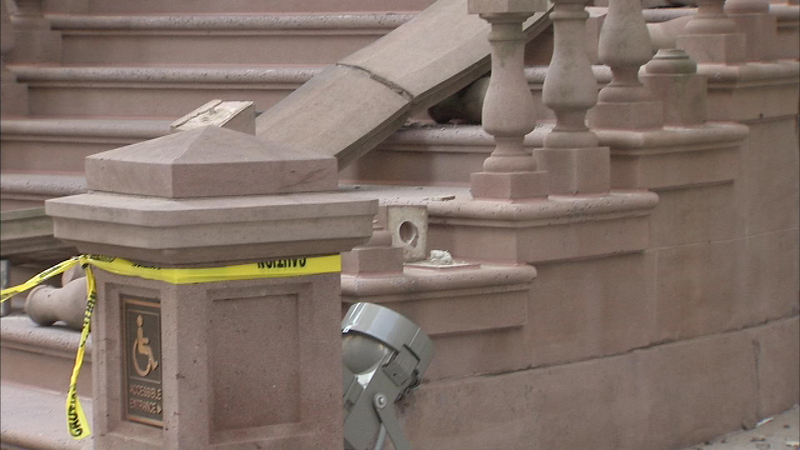 One of the cameras picks up the man as he wrapped up the railing and tied it to a car in an alley. It appears he's being helped by another man. 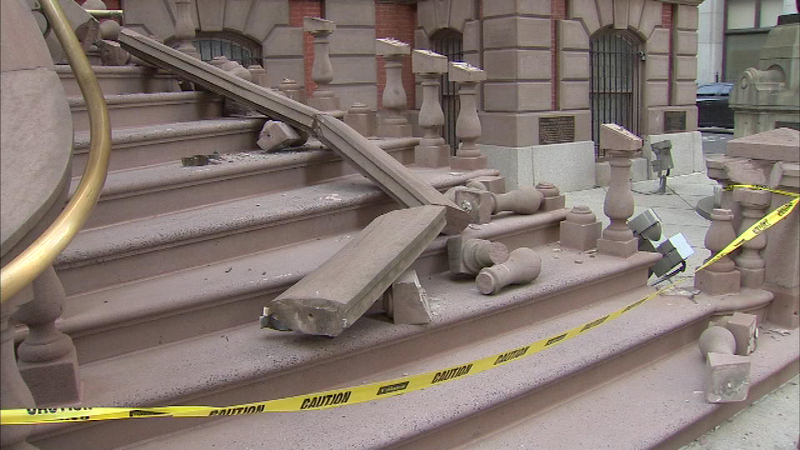 Later, police say Phillips scrapped the railing at a local scrap yard. 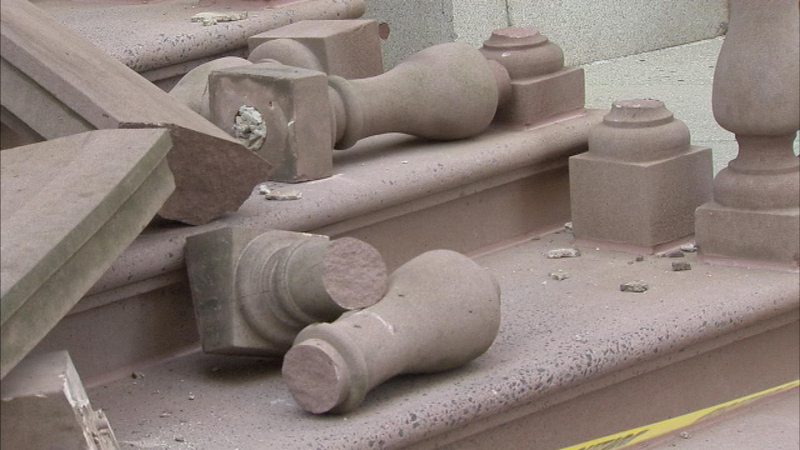 A piece of the railing was recovered, and damage is estimated at $100,000. 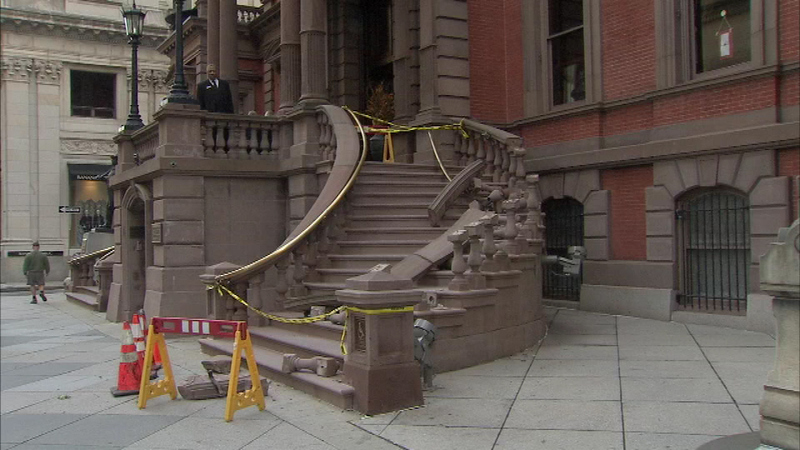 The Union League is working to get the staircase fixed as quickly as possible.